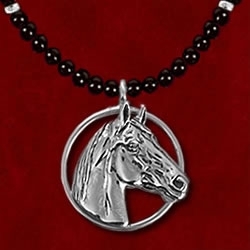 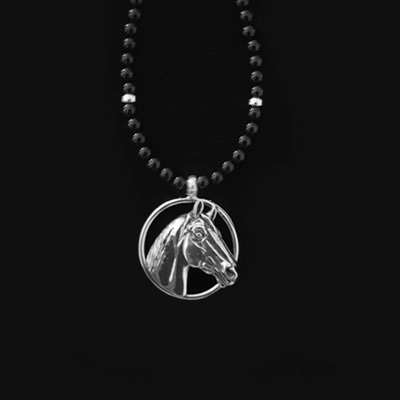 Brand new on 5 millimeter black onyx beads, this style is dramatic and shows the power of this great racehorse. 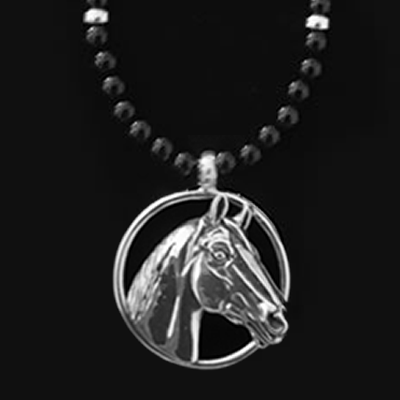 The beads measure 18″ in length….or specify size…and has 5 sterling silver spacer beads on each side and a large figure eight lobster closure. 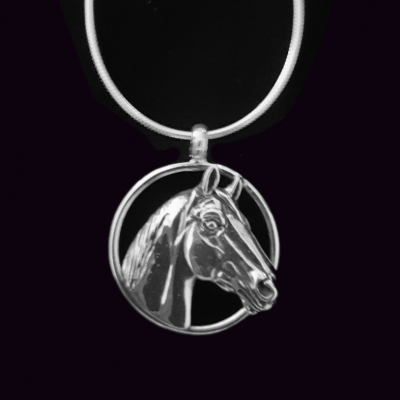 The circle measures 1 1/4″ in diameter. 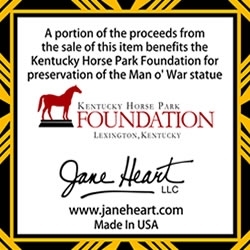 Stamped with Man o’ War on the back, a portion of the proceeds benefits the Kentucky Horse Park Foundation for the preservation of his statue. 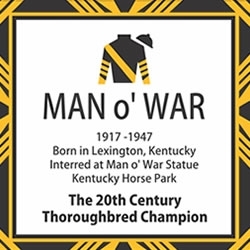 Click Press Releases on the Home page to read about this great champion. 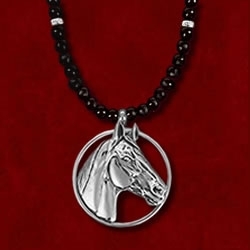 Comes with a gift box and commemorative card.